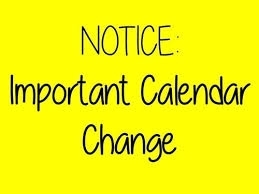 In a change to the school calendar the school will be closed on Thursday 10th January for staff training. Classes will take place as normal on April 2nd. See letter attached.